Scientific Games have signed a fantastic deal with the state run Danske Spil from Denmark. 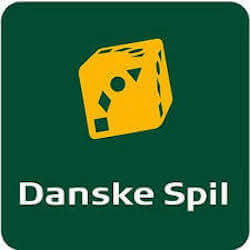 Danske Spil had been running on the legacy systems of the old state lottery that simply could not keep up with demand. The move onto Scientific Game’s gaming platform was started off earlier this year and has only now been finalised. Danske Spil now operates on a scalable and reliable system, which also offers full redundancy thanks to Scientific Games’s centralised servers that operate 24/7. 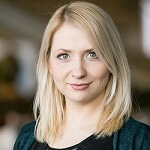 The multi-channel environment will open up Danske Spil to a whole range of new possibilities for their gaming which would inevitably help the operator lead to more growth. Chief Executive for Danske Spil, Susanne Morch Koch said that the new system plays an essential part of Danske Spil’s aggressive and progressive new strategy for the local market. Pat McHugh from Scientific Games also stated that their excellent gaming systems and platforms will play an important role in helping Danske Spil realise their goals. He said that they are rolling out their latest, most open, scalable and flexible technologies in Denmark. Earlier this year in June, Danske Spil also expanded their gaming library after they signed a deal with NetEnt. The creative developer now provides a selection of original content that can be found at Danske Spil’s casino game section of their lottery site. It simply goes to show that Danske Spil are clearly aggressively persuing the best that online gaming has to offer. Since they are a state owned enterprise, it make sense that they re not focussing on expenses. Instead they are aiming for reliable quality products for all their members. Also in June Danske Spil signed a deal with Play n Go to make use of their GAT platform. The GAT refers to the Game Account Toolkit. Part of this deal for the use of the company’s software platform is the full use of Play n Go’s full gaming library. Now that Danske Spil also makes use of Scientific Game’s software platforms, they are in an enviable position amongst operators in Denmark. Not only do they essentially have a state monopoly, but they also have rock solid software systems that they are operating on. Play n Go also signed another content deal with operating group SoftSwiss. They offer content to other online casinos and will now be able to expand their existing library by 100 games, which range from slots to table games.